When I engage with the rakyat through social media, one of the issues that is brought up most frequently is to do with transportation, especially in the urban areas. The Malaysian economy is experiencing high rate of growth and it is vital that my government endeavours to provide a solid and reliable infrastructure to match this growth. That’s why we have included the “Urban Public Transport” as one of the National Key Result Area (NKRA), seeking to improve infrastructure in Urban areas. 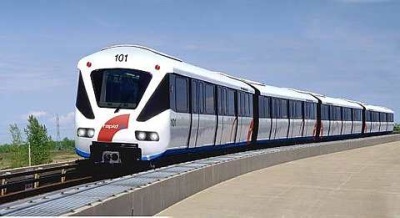 The Urban Public Transport NKRA has two objectives: to reduce congestion, and to increase public transport usage. Various measures have been adapted to achieve these goals. For a start, new Bus Expressway Transit (BET) routes were introduced to shorten bus journey times. 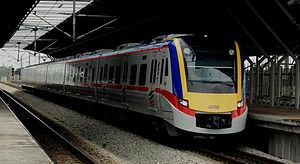 On top of increasing the RapidKL buses fleet, new four-coaches sets were purchased to top up the Kelana Jaya LRT Line and 38 new six-coach EMU Trains to the KTM Komuter service. Besides, a fully air-conditioned, 562-metre long, five-metre wide elevated walkway was recently opened, connecting busy areas of Jalan Pinang, Jalan Perak and Jalan Raja Chulan with escalator and staircase entry and exit points at strategic locations, forming a major portion of 1.173 km of pedestrian linkages connecting KLCC to Bukit Bintang. The public can now travel on foot to Bukit Bintang and Raja Chulan Monorail Station, as well as KLCC LRT station. We also improved the ticketing system for both buses and LRT so lining up for one would be quicker. We even revamped the existing Pudu Sentral terminal to offer modern world class facilities as well as provide an additional station: the ITT (Integrated Transport Terminal) Bandar Tasik Selatan which diverted 500 buses, making traffic in the central business district lighter. So far, the results have been promising. As of the end of last year, the number of people who rode on buses increased to 4million and increased over 10 million on the Kelana Jaya LRT Line. The load factor for buses, KTMs and LRTs are now more balanced, with more people taking the bus and KTMs and LRTs being less crowded. 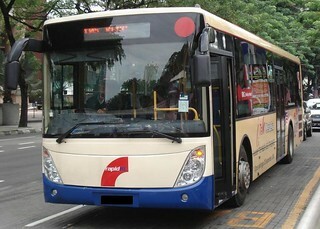 The road fatality count went down between 2010 and 2011, and customer satisfaction with public transport went up to 53%. Although much has been done so far to reach our goal of a more efficient and less frustrating traffic system, we must continue working to keep up with our economic growth. So this year there will be more bus lanes, more six-car sets for the KTM Komuter, more upgrade works at LRT and KTM Komuter stations, more parking bays and a new ITT in Gombak. As public transport becomes more accessible and efficient for Malaysians, I hope to decrease reliance on private transportation and promote a positive attitude toward public transportation. I hope to have the opportunity to carry out all of our plans – so that in the near future I will see less and less tweets and Facebook comments about transport!